It's that time of year. A new season of Game Of Thrones is debuting, and the hit HBO fantasy series seems to be all anyone can talk about. So why not join in on the fun? Having just re-watched season five, it struck me that the sacred words of each major house in the Seven Kingdoms are never really called into question. An episode in that season is titled "Unbowed, Unbent, Unbroken" (the words for House Martell), and it's not entirely clear why. Sure, the Martells flex some muscle in that particular episode, but it's not as if there's a profound statement made regarding their resilience. The words just kind of sound nice. Once that all occurred to me I couldn't resist taking a look back at some of the house words to see whether or not they've actually been meaningful or impactful in the series. You can view a full list of house words here, but below I'll take a look at each of the most important houses in the show. Before season five, an amusing list of alternate words for the great houses suggested "Did they mention us this season?" for House Martell. That no longer applies, but the sentiment kind of makes sense. The Martells are interesting in the show, but they've been presented a little haphazardly to the point where it's hard to glean too much significance from their presence. "Unbowed, Unbent, Unbroken" feels a little bit dramatic given this. Plus, as things stand heading into season six, they're down one major prince (Oberyn) and an alliance with the Lannisters. The words pretty much don't apply in any way. These are actually among the most appropriate words of the great houses, right up until the midpoint of season five. The Tyrells are presented as a powerful and wealthy house. They have a beautiful princess-turned-queen in Margaery, one of the best knights in the kingdoms in Ser Loras, and one of the shrewdest political minds in Lady Olenna. And all the while they seem to be lurking on the fringe of the King's Landing drama, growing stronger. That said, they grow decidedly weaker toward the end of season five, so it's hard to say if the words will continue to stand up to scrutiny. Sure, these words work well enough, because House Arryn is literally extremely high up, and the late Jon Arryn lends them some credibility in the honour department. But the house and words alike feel insignificant at this point. Given that Theon is responsible for most of the representation and he's been sowing for a few seasons now, these are probably the most laughable words of the bunch. The sentiment is strong: that the Greyjoys reap, and their victims sow. But a few disastrous attempts by Theon to do some reaping has made a mockery of the motto. House Lannister - "Hear Me Roar!" The better-known saying is "A Lannister pays his debts," uttered frequently by Lannister characters and even noted as part of the foundation for a popular Game Of Thrones game online. Because the game is a show-themed slot arcade, the idea of collecting and paying debts is quite fitting. Yet for all the popularity of the phrase, "Hear Me Roar!" (yes, with the exclamation) are the official words. They sound a little silly, though they actually suit the Lannister portrayal quite well. There have been lots of threats and articulations of strength without many actual displays of power from the Lannisters of late. These are perfectly appropriate words. Robert's fury was such that he led the rebellion against the Targaryens, and in the aftermath of his death, his brothers Stannis and Renly mount quick and determined efforts to seize his throne. This is a house of action and consequence, and the words have suited them well. By far the most unimaginative words among the great houses' mottoes, "Fire And Blood" work just fine. The question is whether or not Daenerys will prove to be more than the motto—"Fire, Blood And Mercy" doesn't quite sound natural. 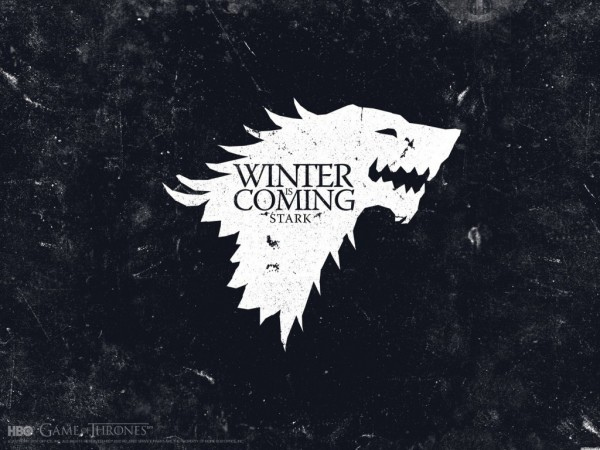 Though they'd be true if anyone said them, in the Seven Kingdoms or in the real world, "Winter Is Coming" have proven to be oddly powerful words for the Starks, and indeed for all Westerosi. It's also worth noting that the words seem to be instilled in the Starks. Arya, Sansa, Bran, and Jon Snow all tend to think ahead and prepare for the worst, and if it serves them well in the end, the words will take on a new significance. That said, the most recent trailer indicates the words may be changing somewhat in the show, to "The Dead Are Coming." Considering them all, it's a little bit of a mixed bag. Some of the words are clearly more appropriate than others, though as the series progresses it'll be interesting to see if the words end up defining the houses' places in the narrative.